Twenty-two centuries ago, when Israel was under the rule of the empire of Alexander the Great, one particular leader, Antiochus IV, decided to force the pace of Hellenisation, forbidding Jews to practice their religion and setting up in the Temple in Jerusalem a statue of Zeus Olympus. This was too much to bear, and a group of Jews, the Maccabees, fought for their religious freedom, winning a stunning victory against the most powerful army of the ancient world. After three years they reconquered Jerusalem, rededicated the Temple and relit the menorah with the one cruse of undefiled oil they found among the wreckage. 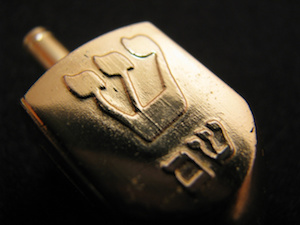 There’s an interesting question the commentators ask about Chanukah. For eight days we light lights, and each night we make the blessing over miracles: she-asah nissim la-avotenu. But what was the miracle of the first night? The light that should have lasted one day lasted eight. But that means there was something miraculous about days 2 to 8; but nothing miraculous about the first day. So it has always been in Jewish history. There were times when any other people would have given up in despair: after the destruction of the Temple, or the massacres of the crusades, or the Spanish Expulsion, or the pogroms, or the Shoa. But somehow Jews did not only sit and weep. They gathered what remained, rebuilt our people, and lit a light like no other in history, a light that tells us and the world of the power of the human spirit to overcome every tragedy and refuse to accept defeat. From the days of Moses and the bush that burned and was not consumed to the days of the Maccabees and the single cruse of oil, Judaism has been humanity’s ner tamid, the everlasting light that no power on earth can extinguish. What was the difference? The Greeks, who did not believe in a single, loving God, gave the world the concept of tragedy. We strive, we struggle, at times we achieve greatness, but life has no ultimate purpose. The universe neither knows nor cares that we are here. Tragic cultures eventually disintegrate and die. Lacking any sense of ultimate meaning, they lose the moral beliefs and habits on which continuity depends. They sacrifice happiness for pleasure. They sell the future for the present. They lose the passion and energy that brought them greatness in the first place. That’s what happened to Ancient Greece. 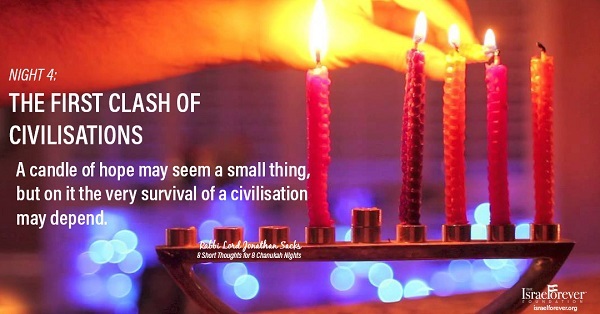 Judaism and its culture of hope survived, and the Chanukah lights are the symbol of that survival, of Judaism’s refusal to jettison its values for the glamour and prestige of a secular culture, then or now. The question then arises, What if, on Friday afternoon, you find yourself with only one candle? 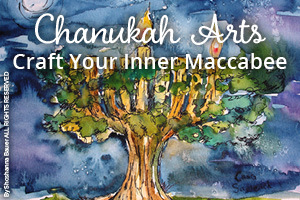 What do you light it as — a Shabbat candle or a Chanukah one? It can’t be both. 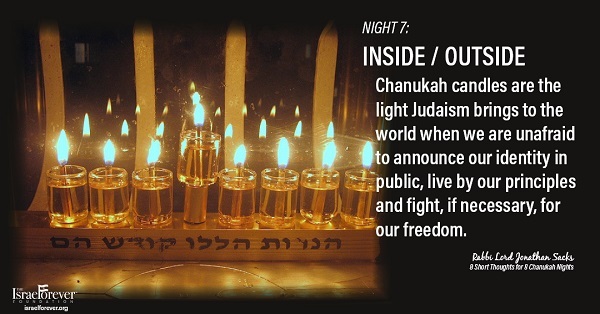 Logic suggests that you should light it as a Chanukah candle. After all, there is no law that you have to sell or borrow to light lights for Shabbat. Yet the law is that, if faced with such a choice, you light it as a Shabbat light. Why? 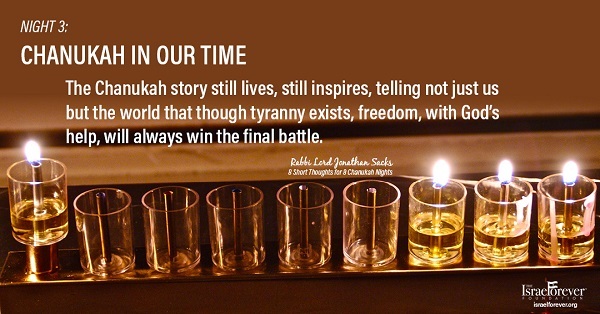 Consider: Chanukah commemorates one of the greatest military victories in Jewish history. 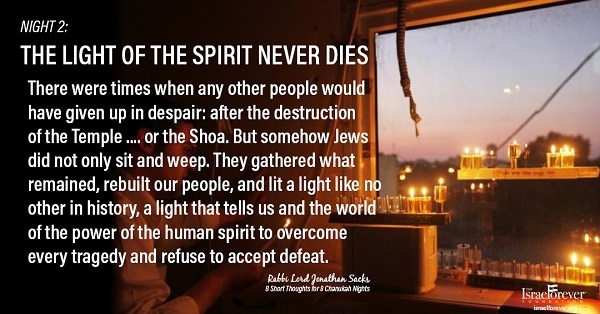 Yet Jewish law rules that if we can only light one candle — the Shabbat light takes precedence, because in Judaism the greatest military victory takes second place to peace in the home. Why did Judaism, alone among the civilizations of the ancient world, survive? Because it valued the home more than the battlefield, marriage more than military grandeur, and children more than generals. 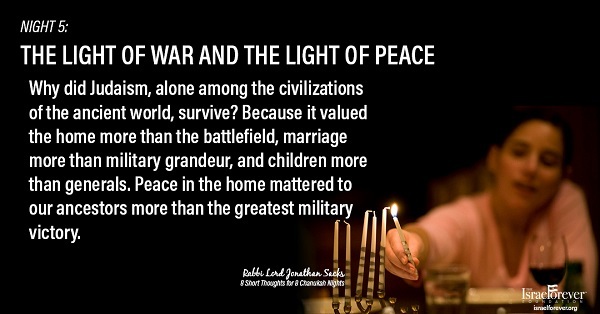 Peace in the home mattered to our ancestors more than the greatest military victory. 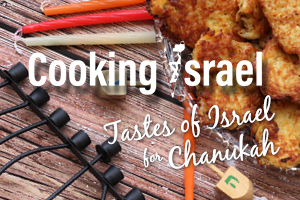 We all know the miracles of Chanukah, the military victory of the Maccabees against the Greeks, and the miracle of the oil that should have lasted one day but stayed burning for eight. But there was a third miracle not many people know about. It took place several centuries later. After the destruction of the second Temple, many rabbis were convinced that Chanukah should be abolished. After all, it celebrated the rededication of the Temple. And the Temple was no more. It had been destroyed by the Romans under Titus. Without a Temple, what was there left to celebrate? Why? Because though the Temple was destroyed, Jewish hope was not destroyed. We may have lost the building but we still had the story, and the memory, and the light. And what had happened once in the days of the Maccabees could happen again. And it was those words, od lo avdah tikvatenu, “our hope is not destroyed,” became part of the song, Hatikvah, that inspired Jews to return to Israel and rebuild their ancient state. 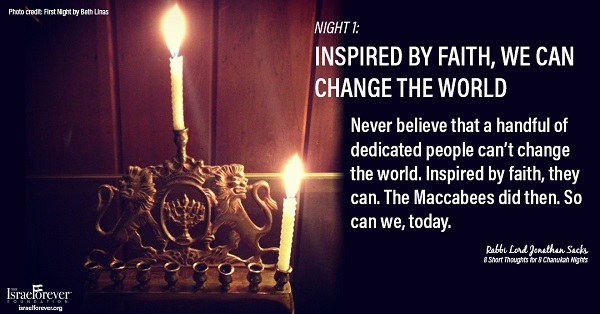 So as you light the Chanukah candles remember this. 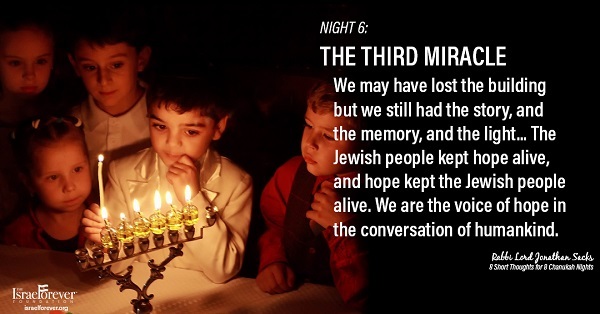 The Jewish people kept hope alive, and hope kept the Jewish people alive. We are the voice of hope in the conversation of humankind. 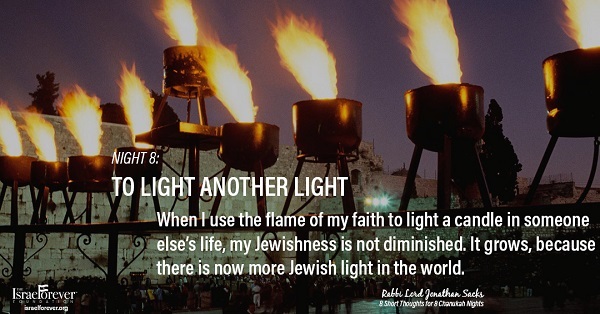 There is more than one command in Judaism to light lights. There are three. There are the Shabbat candles. There is the havdalah candle. And there are the Chanukah candles. The difference between them is that Shabbat candles represent shalom bayit, peace in the home. They are lit indoors. They are, if you like, Judaism’s inner light, the light of the sanctity of marriage and the holiness of home. The Chanukah candles used to be lit outside — outside the front door. It was only fear of persecution that took the Chanukah candles back inside, and in recent times the Lubavitcher Rebbe introduced the custom of lighting giant menorahs in public places to bring back the original spirit of the day. 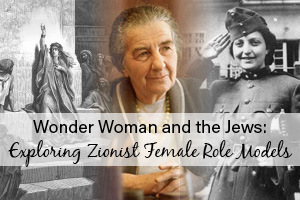 The best way of answering that is to think of two Jews: both religious, both committed, both living Jewish lives. One says: I must not get involved with Jews who are less religious than me, because if I do, my own standards will fall. I’ll keep less. My light will be diminished. That’s the view of Rav. 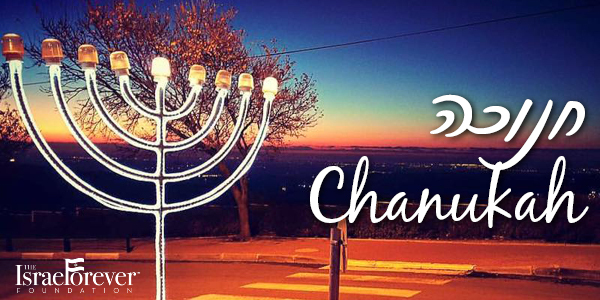 SHARE THIS PIECE AND USE YOUR VOICE AS A VIRTUAL CITIZEN OF ISRAEL TO SPREAD THE LIGHT OF CHANUKAH!